Due to a rather huge success of its little brother, 810XLT, we’ve taken a closer look at something rather commercial quality, the Fitness Reality X-Class Light Commercial Power Rack. This particular power cage is available on the market for some time now and deserves a more thorough attention. 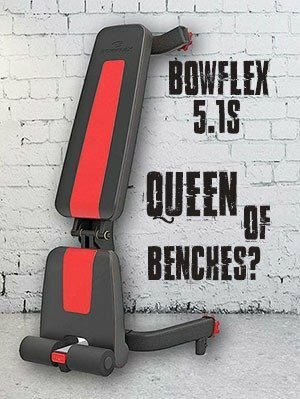 As the name suggest, this item is of commercial quality, thus can be used by home gym owners and public gyms alike. First we will go through features, then see what this rack can (and can’t) do, then move to pros and cons and finally, the recommendation. The entire 2″ x 3″ frame is made of heavy-duty tubular steel that provides maximum durability for all kinds of heavy workouts. According to the manufacturer, the cage should incredible 1500 pounds of total weight. The next are two 11.5” and two 35.5” mounted safety bars. Fitness Reality also provides J-hooks for free as a bonus. The rack comes with its own dip station, with adjustable 2”x 20” high-density rubber grips. Last but not least, the multi-grip pull-up bar can be used for pulls, chin ups and muscle ups and has 2 adjustable positions. 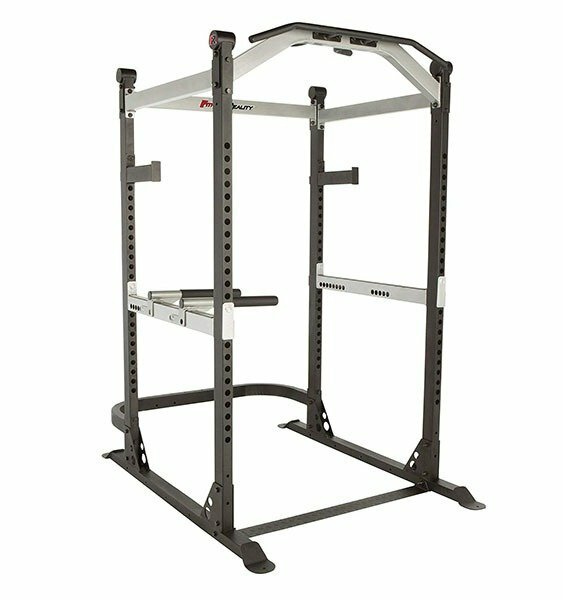 Fitness Reality X-Class light commercial power rack can be expended by lat pull down attachment, which is not included. The dimensions of the cage are 71.5” L x 52” W x 86” H (181.6 x 132 x 218.4 cm) and the weight is 256 pounds (116.1 kg). Due to the size of the parts the Fitness Reality X-Class Light power rack is shipped in four boxes (2 by default, 4 if you ordered the lat attachment, as I did), which, according to the manufacturer, might arrive separately. I assume this is due to the availability of the parts, although it’s still pointless in my opinion, since you can’t use one without the other, right? In any case, mine arrived together and I can say that Fitness Reality does a great job in regard to packaging. Everything was tightly secured and in perfect condition. Despite the size of the cage, the assembly was actually pretty easy. That is mostly due to the very-well written manual. It is actually doable by one person, although I would still recommend having a buddy to help you out. You should be down within two hours. My Experience – Not Wobbling! Not Wobbling! Once the assembly was over, we tried to sturdiness of the rack. We have placed it on a gym rubber floor, which was on a solid stone floor. I can tell you that there was absolutely no wobbling at all. That is partially thanks to the U-shaped stability bar, that s included. However, I wonder if the same could be said if the rack was placed on a carpet. The great plus is that you did not feel like the cage will crumble on you every minute. You actually feel safe. Both extended safety bars do their job well. You might need to settle your own position preferences, depending on the weight bench you have, but that is understandable. The included J-hooks are actually of perfect quality, I would say. Who would have thought that something free would actually be above-average quality? But, I know that some of you guys are pretty hard-core, so the hooks might not be ideal for you. It’s a good thing that you can purchase extra j-hooks for a small buck. The included dip bars (that hook to the safety bars) are very well designed and comfortable on hands, no argument there. While you might be initially surprised that these can hold 600 lbs, once you try them, you will understand. Although honestly, who the hell would try to dip bars with weight plates that would product a total weight 600 lbs, right? The multi-grip pull-up bar is placed at the height of 86 inches, which is great even if you are a taller person. If you are a very tall person, well bend your knees, because I don’t think you can find rack with a better height that easily. The bar is perfectly solid and comfortable on hands and if you feel like a callisthenic, you can do muscle ups without worrying of possible wobbling. The lat attachment pull down had its own instruction manual and it was just as good as the rack’s one, straight to the point and very understandable. Once you assemble it, you might be surprised with the friction. Don’t panic! Guys from Fitness Reality got you covered. With the lat attachment pull down came a tube of silicone oil that you can use and lower the friction. Once you are done with it, the pulley cable and lat attachment although will work greatly. That’s basically all I can say about Fitness Reality X-Class Light commercial power rack at this very moment. Get it. Get it. Once again, get it. I can’t say this enough. This is definitely one of the best power racks on the market. It’s definitely worth every buck. If I were you, I would go for the optional lat attachment pull down. It’s worth the money as well. Firstly, double-check if you have enough space, since it quite a lot of it. Fitness Reality X-Class Light commercial power rack is one of the best on the market, if I dare to say. So once again, go get it while you still have the chance.